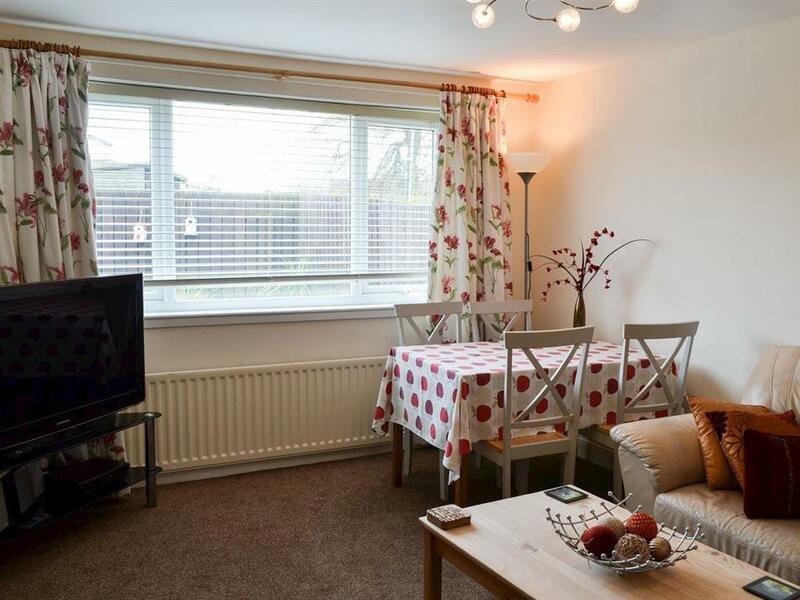 Beachcroft in Beadnell, near Seahouses, Northumberland sleeps 4 people. Beachcroft near Seahouses is a well-appointed, spacious and comfortable ground floor apartment situated in the heart of the popular coastal village of Beadnell, with the sea edged by a small sandy beach and rocky outcrops, only 200 yards away. This dog friendly apartment provides an idyllic base for you and your four-legged friend to explore this extensive location. Beadnell is a popular holiday destination and offers local facilities including a well-stocked village shop and family friendly pubs serving good food, all within a gentle stroll. The wide expanse of golden sandy beach, that Beadnell Bay is renowned for, is approximately ½ mile away. This is a popular destination for watersports enthusiasts, including sailing, sea kayaking, wind surfing and scuba diving. Beadnell Bay can truly be described as the jewel in Northumberland’s seaside crown; idyllic for a romantic barefoot stroll in the sand to listen to the waves lap against the shoreline and inhale the invigorating sea air. Further up the coastline, just 2 miles away, is the traditional fishing port of Seahouses, where boat trips depart regularly to the nearby Farne Islands – famous for its bird sanctuaries and seal colony. Seahouses has several charming tea rooms, quaint pubs and shops. Horse riding, fishing and golf on the links close by, being only a sample of the many amenities available in this popular location. A further 3 miles up the coastline is the picturesque village of Bamburgh, which lies snuggled in the shadow of its majestic castle, and commands the power and presence of the seasoned television set it regularly becomes. Holy Island, the birthplace of christianity in the UK, and site of Lindisfarne Castle, can be seen from the unspoilt golden, sandy beach. Just a few miles inland is the bustling market town of Alnwick, with its own dramatic castle (and film location for Harry Potter’s Hogwarts Academy). Visitors will enjoy a trip to Alnwick Garden, a spectacular interpretation of a formal garden including the Grande Cascade Waterfall and restaurant within the largest tree house in Europe! The beach is only 200 yards from Beachcroft near Seahouses. With the shops, pubs and restaurants on the doorstep. Ground Floor: Beachcroft near Seahouses is all on the ground floor. Living/dining room: With electric coal-effect fire and Sky TV. Electric central heating, electricity, bed linen, towels and Wi-Fi included. Small enclosed garden to the front and rear. On road parking. No smoking. Holidays at Beachcroft run from Saturday to Saturday. For a better idea of where Beachcroft is, you can see Beachcroft on the map below. Beachcroft is in Northumberland; should you be on the lookout for a special offer, you can find all the special offers in Northumberland. It's always worth checking to see what is on offer at the moment. 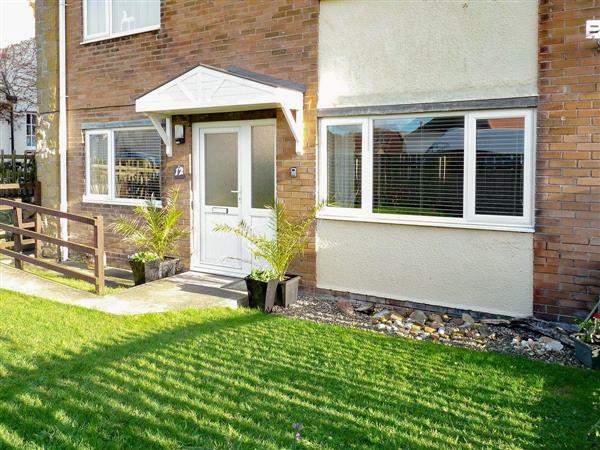 Do you want to holiday near Beachcroft (UK3117), you can see other cottages within 25 miles of Beachcroft; have a look to find your perfect holiday location.